kim watson ★ design ★ papercraft: Catching up. I realized the other day that it has been ages since I shared any of my published pages on my blog....so prepare yourself for a Scrappy Fest over the weeks to come! They won't be in any particular order but rather as they come. **As seen in the Organizational Special issue 2010 of Creating Keepsakes magazine. Copyright Creative Crafts Group. Posted with prior permission from the publisher. **As seen in the Feburary issue 2010 of Creating Keepsakes magazine. Copyright Creative Crafts Group. Posted with prior permission from the publisher. 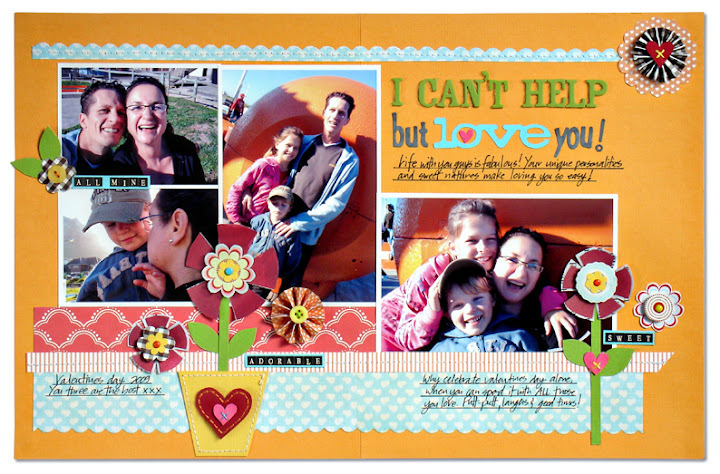 **As seen in the January issue 2010 of Creating Keepsakes magazine. Copyright Creative Crafts Group. Posted with prior permission from the publisher. Stop by again when you are in the neighborhood! Hi Kim!!! wow haven't seen your new blog layout till now... very cool!!! wonderful Layouts to - well done!!! So nice to hear form you again, love your LOs...and the new blog is pretty too! Those are all just lovely!!! The colors and vibrancy and flowerpots and creativity....love it all my friend! Gorgeous two-pagers! I'm so impressed!! 9 am is one of my all time favourites. Glad you posted it here too. i love the 9am layout ... the design and just the idea behind it! 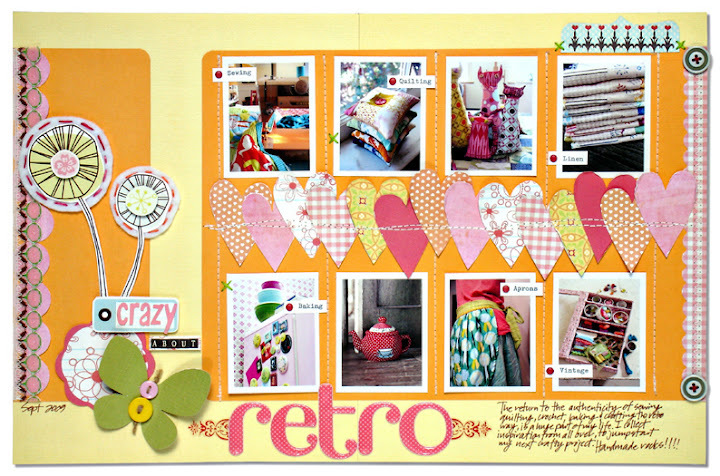 and also love the retro layout ... that row of stitched hearts is adorable!